Scissors selections are endless, and although there are no absolute 'best' scissors for quilters, you'll find many types of scissors that are perfect choices for your wants and needs list. It seems like more and more specialty scissors are introduced every year. Nearly everyone starts with the basics so you probably don't need all of the scissors on this list – at least not all at once – but they do represent a well-rounded collection for a quilting tool kit. You can make perpendicular clips into the seams of a rag quilt without special scissors, but once you've used these special cutters you'll never go back to regular shears. I have a couple of brands of rag quilt scissors, but the Heritage snips are my favorites. Fingers rest above the handles instead of being slipped into handle-holes that can cause blisters after lots of cuts (you'll make snips every 1/4" along every seam). The spring action of the handles means they'll pop right back into place for the next cut, with no effort from you. The rounded tips of these scissors create a bit of buffer at their ends, just enough to help keep me from cutting too deeply into a seam allowance. Titanium nitride coats the blades of these durable Fiskars scissors, and helps prevents wear. The spring-action handles work nicely to help combat hand fatigue, a nice perk for all of us, but especially important for quilters who deal with arthritis and other conditions that affect hand comfort and strength. These chrome over nickel scissors are super handy for appliqué. The paddle-like blade (sometimes called a duckbill) keeps one edge of the fabric away from the blade while pushing the edge you want to cut up towards the sharp blade. The offset handles provide a good view of the fabric you're cutting. 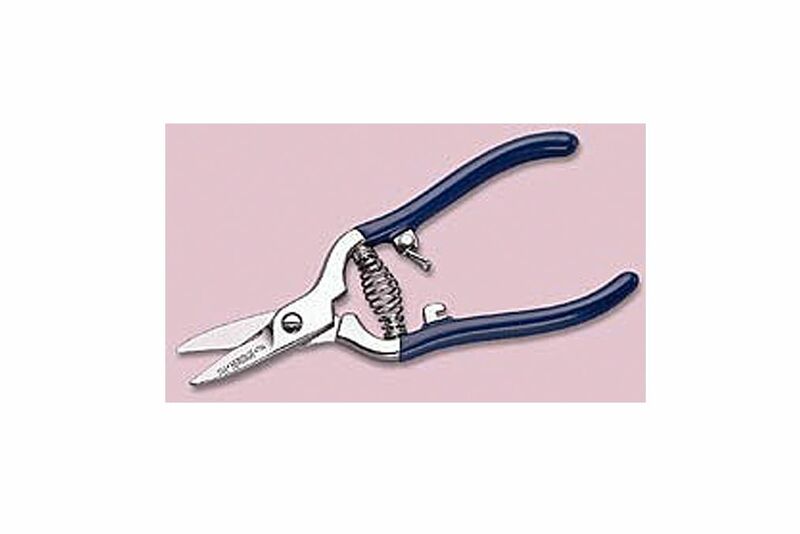 This little 3-1/2" pair of Gingher scissors work perfectly for embroidery and other types of needlework. They have slim blades and needle-sharp points -- take care you don't puncture fabric if you use them for thread snips. They come with a sheath to protect the tips and anything the tips might come in contact with during storage. Blunt tipped scissors are great to have around for little clipping tasks. You don't have to worry about puncturing fabric (or skin) if they slip just a bit, and you can safely toss the scissors into your purse or tote bag. "My Kai scissors are absolutely fantastic. I have used them for 6 months straight and they are as sharp as the day I opened the box. They cut heavy denim, canvas, and lawn with equal ease. The blades are not too long and the scissors are not heavy. The thumb hole is big enough for even my arthritic joint. Yes, I use rotary cutters, but having those new Kais have made sewing fun again. I even tried having my granddaughter hold the scissors open while I pulled cloth against the blade. That works too. Just a great tool." Look for the A-8 high carbon scissors in the Kai line – they're the hardest and most durable. Do be prepared to see high price tags on these scissors.